Lady Elizabeth, as she is referred to by many in the poetry circle is beautiful, with a sensitive soul; abled to paint vivid images for an admiring audience with her crafty words. However, Elizabeth's world if filled with pain and suffering as she is haunted by the past and entrapped in an abusive relationship by her tyrant and influential husband Caleb. Yet in spite of her constant turmoil, Elizabeth finds solitude in her writing and an escape in a world where the imagination can be used to influence good or evil. 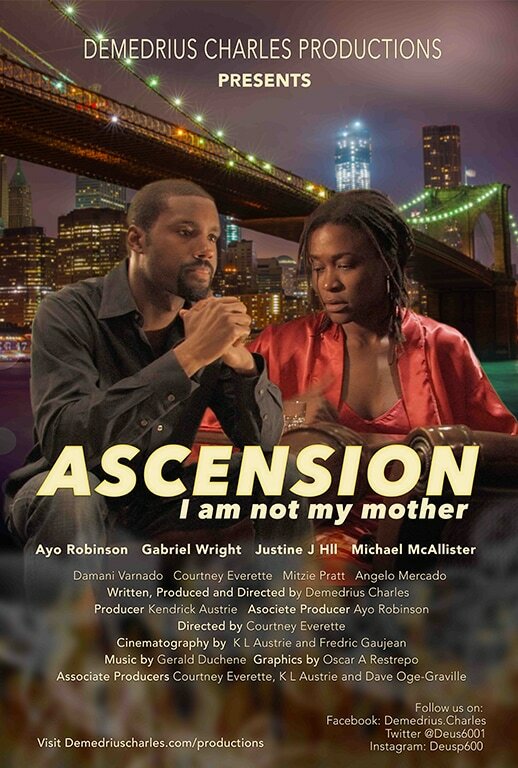 Starring: Ayo Robinson, Gabriel Wright, Justine J Hall, Courtney Everette and Mitzie Pratt .